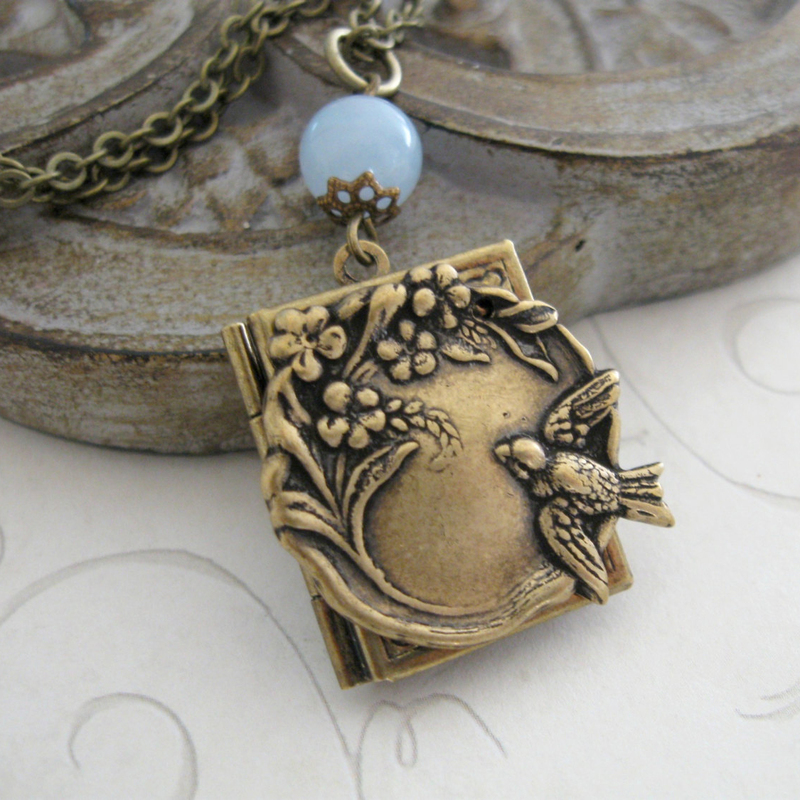 Perfect for spring or summer, here is a super sweet bird locket necklace. 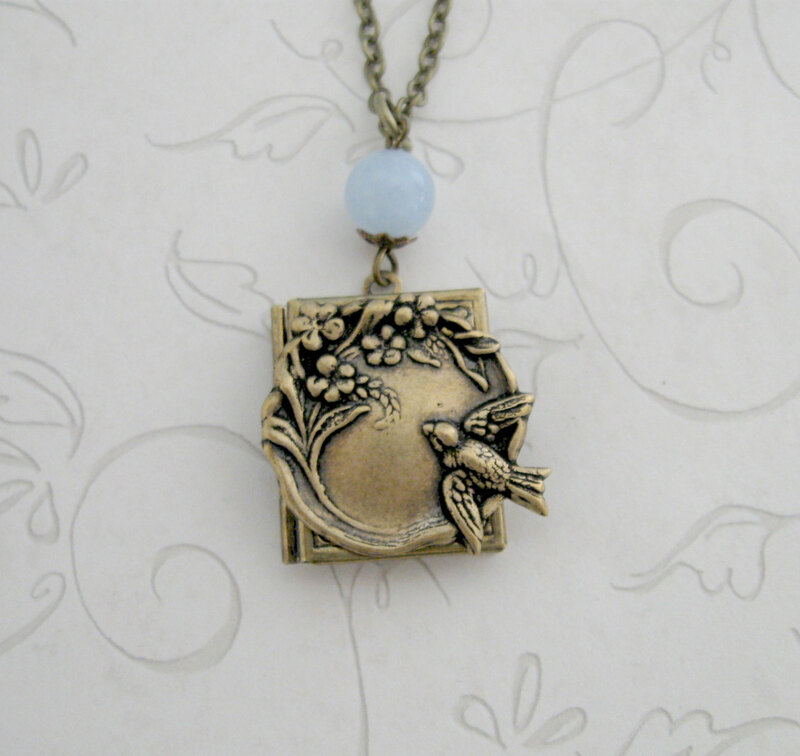 This little book locket has a gorgeous floral and bird scene on the front and is adorned with a pale blue jade bead, which the locket is suspended from. 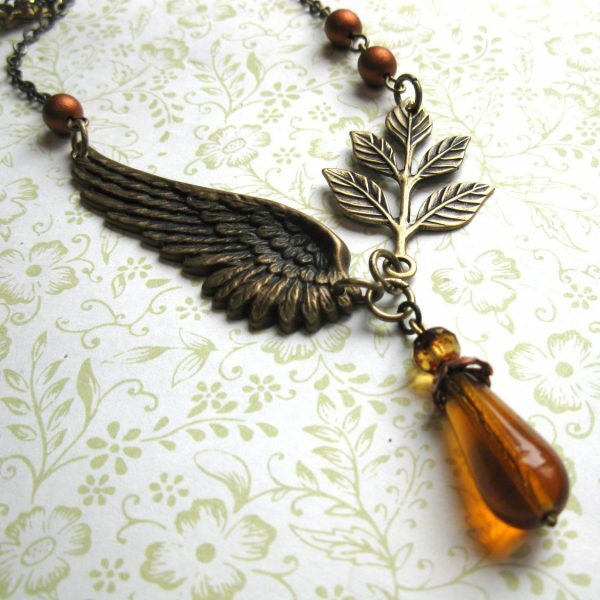 This necklace comes on a brass chain and is closed with a solid brass clasp. 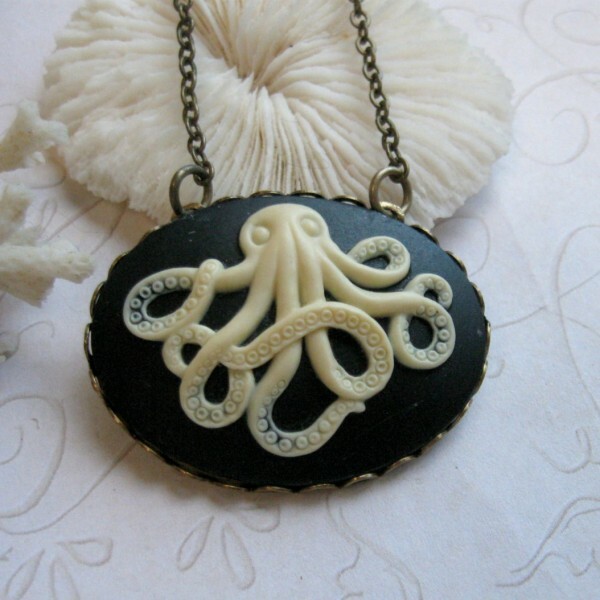 Perfect for tiny keepsake items. 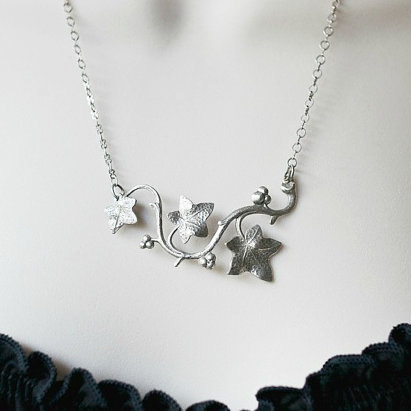 Please choose your necklace length from the drop down menu. All items come nicely packaged and ready for gift giving.